Barbara Mattern, 78, passed away November 28, 2018. Born in Piqua, OH on October 3, 1940 to Preston and Wilma Garlough. 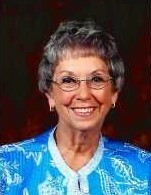 She was a graduate of BGSU (1962) and taught American History and Spanish between 1962 to 1966 at Shawnee High School. Barbara married Conrad Mattern in 1963 and moved to Tallmadge in 1969. Over the years she was active at St. Mark Lutheran Church in Tallmadge and was involved in many of the women’s activities. Barbara also participated in the PTA, delivered Mobile Meals for over 40 years and went on 16 medical mission trips to the Dominican Republic. She served on the boards of Women’s Board to Summit County Juvenile Court, Children’s Concert Society, United Way, Tallmadge Foundation, Mobile Meals, Tallmadge Country Study Club and the Tallmadge Library Board. Barbara also enjoyed her book club, sewing quilts for Lutheran World Relief and traveling with Conrad and her sister, Judy. She was preceded in death by her husband, Conrad; parents, Preston and Wilma Garlough. Barbara is survived by her daughter, Marissa (Patrick) Frick of Zanesville; son, Kurt (Laura) Mattern of Mason; grandchildren, Preston, Garrett, Isabel, Charlie; sisters, Marilyn (Claude) Saum of Ashville, NC., Judy Nickras of Troy; Jim (Mary) Garlough of Grosse Pointe, MI., Chuck (Lisa) Garlough of Franklin, John (Lynn) Garlough of Franklin. Visitation will be 4:00 until 7:00 p.m. Friday, November 30, 2018 at the Donovan Funeral Home, 17 Southwest Ave. (on the Historic Tallmadge Circle) and one hour prior to the service at the church. Funeral service will be 11:00 a.m. Saturday, December 1, 2018 at St. Mark Lutheran Church, 158 North Ave., Tallmadge with Pastor Deborah Wissner officiating. Special thanks to the wonderful friends and neighbors who supported her during her illness, as well as the caring staff at The Cooper Cancer Center, Summa Hospice and The Danbury (Tallmadge). In lieu of flowers, donations may be made to the family in care of the funeral home and will be donated to Barbara’s favorite charities.